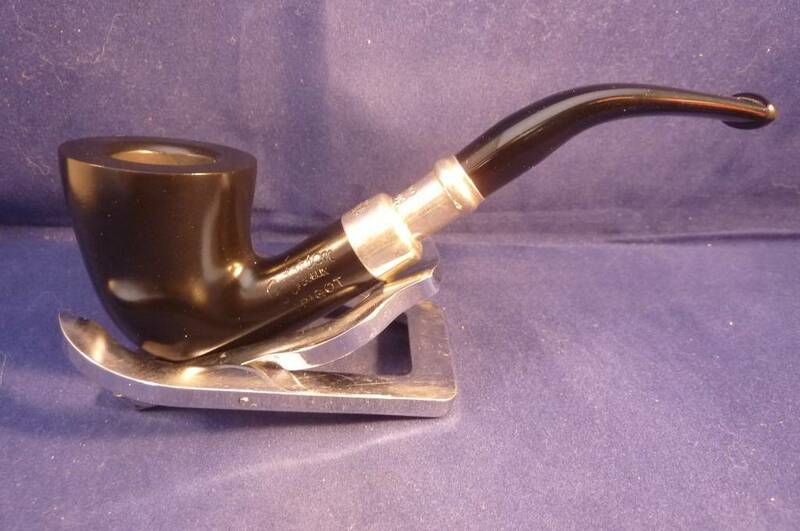 Beautiful Irish briar pipe with sterling silver applications. This black pipe has a beautiful shape. Fishtail mouthpiece, without filter.